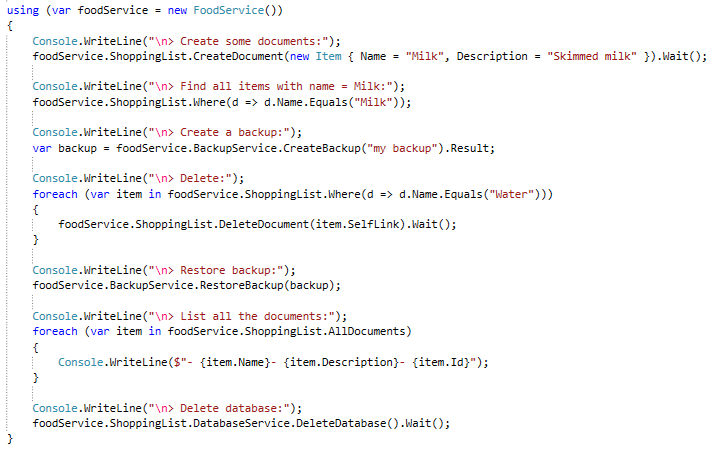 In previous posts I used EF using the local database and using the Azure SQL Server. 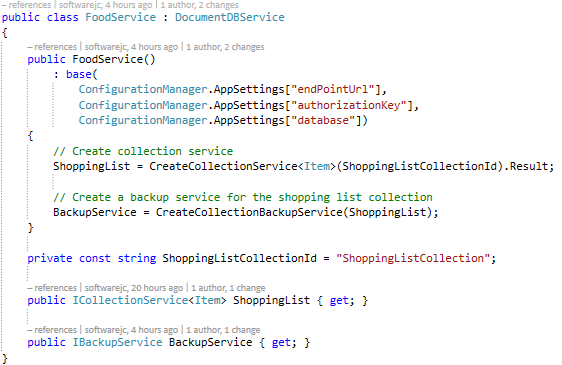 This is the configuration I use now to connect to my local database in Debug mode and to my Windows Azure database in Release Mode. By default when Entity framework is added to a project, a file “App.config” is created if it doesn’t exists yet. 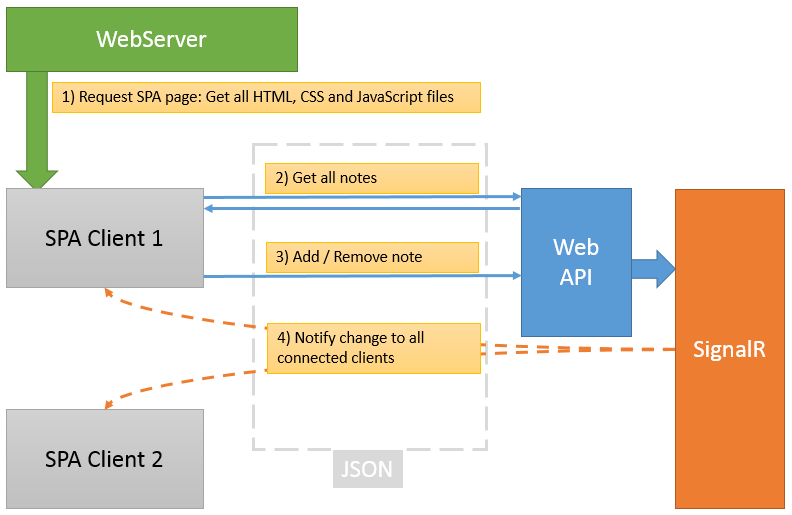 ( “Web.config” in web applications). Which connection string will EF use? 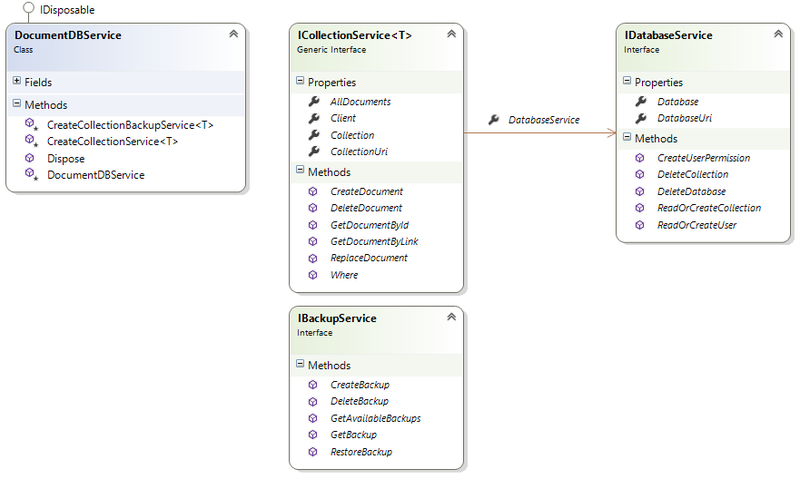 To connect to the database we use a context that extend DbContext. By default if we don’t call a DbContext base constructor, E.F. will look for a connection string name using the name of our defined context. 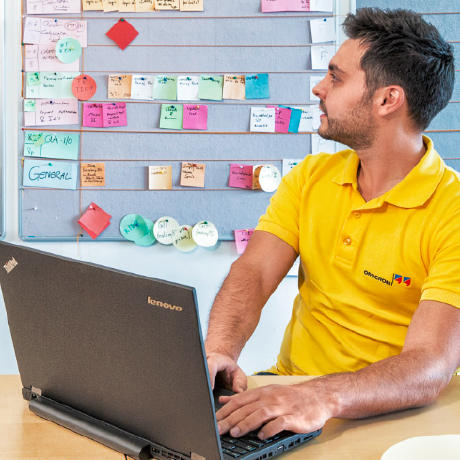 When no connection string is defined, if a defaultConnectionFactory is defined, EF will use it to create a connection string using the name of the connection string he needs. e.g. If we don’t specify the connection string name in our context and EF cannot find any connection string the factory will create one using exactly this name. This is why by default the database created locally had this name in my previous post. Today I played around with my WordPress. There were some things I wanted to try without risking my blog. I decided to create a new WordPress just for testing. 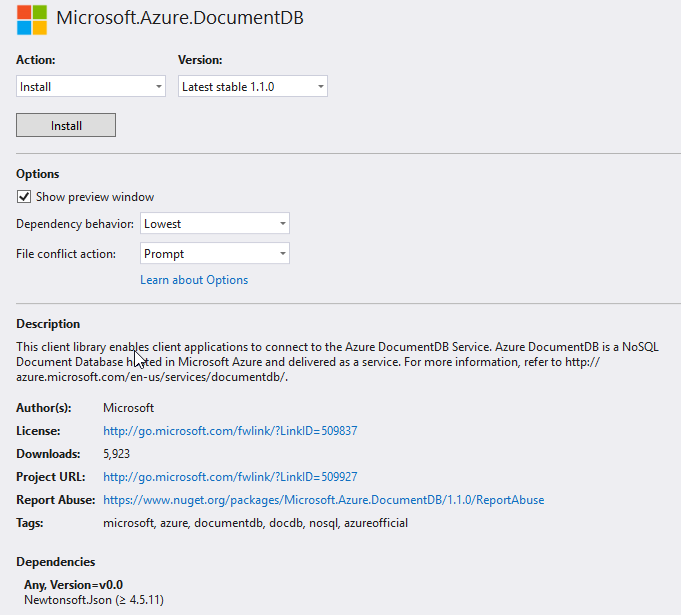 This was a good opportunity to test out once more Microsoft Azure. Windows Azure offers a lot of great services: Virtual Machines, Web Sites, Mobile Services, etc. There are different Purchase Options. I am using “Pay as you Go” this allows me not only to test Windows Azure but also to use some of their services for free. 1. Create an account in Windows Azure. 2. Open Windows Azure portal and click “New” at the bottom left corner. 3. Select Web site > From Gallery. 3. 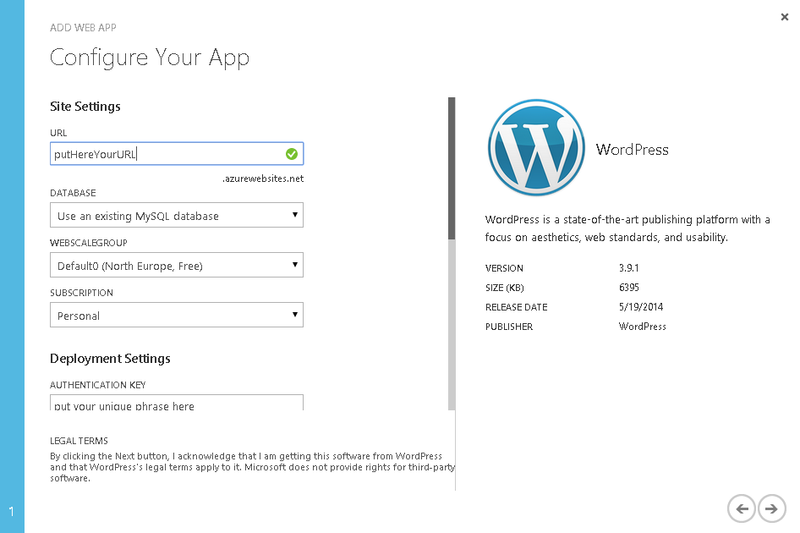 Select the WordPress app from the list of Blogs. 4. 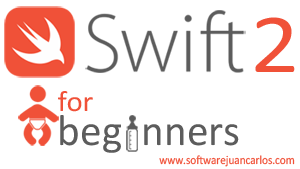 Enter the URL of your website and some administration details and you are done! 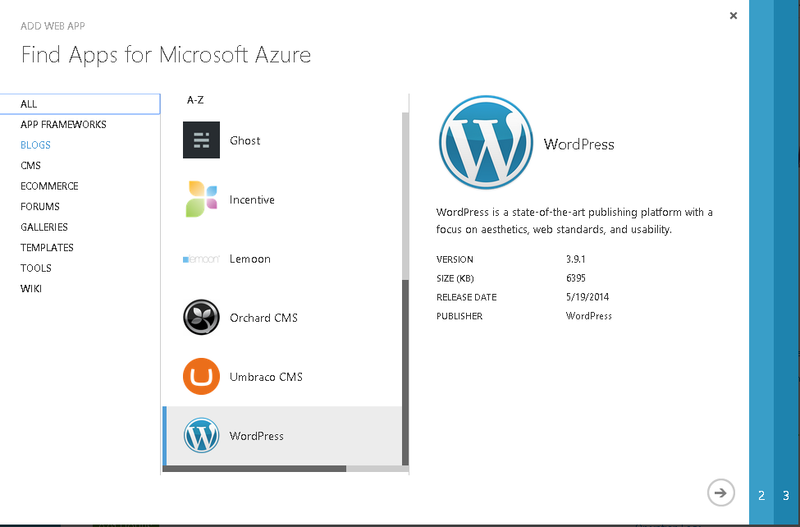 It takes 5 minutes (if you are already register ) to create a WordPress instance in Azure, here I can play around with things like e-Commerce Plugins.